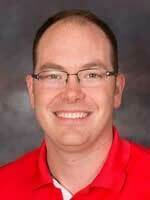 Scott Cameron is in his third season as head coach of the Illinois State women’s swimming team. During his time at ISU, his student-athletes have set 20+ school records, have recorded 2 x NCAA B Cuts, and won 1 individual MVC champion. Prior to coming to ISU, Scott spent three years with the program at the University of Idaho . There, his student-athletes set 26 school records and won 12 individual WAC titles. Ten student-athletes met NCAA ‘B’ cuts and one qualified for the NCAA Swimming and Diving Championships. Scott has also worked as a Director of Operations and a Volunteer Assistant Coach at the University of Michigan as well as worked as an Age Group, National Team and Elite Team coach with Club Wolverine based in Ann Arbor, MI. 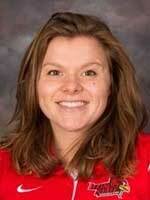 Conrad brings a wealth of knowledge and experience to the Illinois State University Women’s Swim and Dive program. As well as being a former Division I swimmer who competed at the University of Idaho, she has also had multiple experiences with working with people of all ages within highly competitive institutions such as Swim MAC in the Carolinas and being a coach at the University of Michigan Swim Camps for the past three summers. The members of the Redbird Swim Team will be involved in the camp to make the experience both more personable and enjoyable.